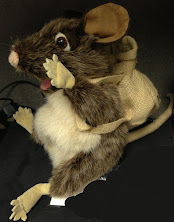 Kentucky Packrat: Justice in the Mortgage Market? I like seeing Mish's analyses of the current market environment, but he is definitely pro-bank on the mortgage fraud. In the latest post, he is negative on a Utah procedure that lets the mortgagee legally disconnect the lien from the note. Certain people will be cheering these developments. Unfortunately, there is nothing to cheer about here. No justice was served by these rulings. Why should we require that a company obey the law? Why should we require that a company actually own a mortgage before forclosing? I am not even being facetious. Wells Fargo has been caught forclosing on people who didn't even have a mortgage with them, and at least one that didn't even have a mortgage. Bank of America made a mistake, and sent a house securing team to the wrong address, breaking in on a woman a month or two ago. MERS was established to commit tax fraud. States want a fee to record mortgage transfers, so that homeowners don't get ripped off (and to get their cut). MERS was designed solely to bypass state law. Now, the banks are getting caught, and paying for it. Boo hoo. Moreover, the mortgage security trusts were a complete fraud. The banks were endorsing the notes in blank (which BTW, was more tax evasion, since that creates a bearer bond, which are taxable at punitive rates), and then never bothering to pass the physical document from entity to entity. In most states, this was a violation of the law. Often, the MBS hasn't even been given legal possession of the mortgage, as has been documented in Massachusetts and elsewhere. Sometimes the original is just languishing in a vault somewhere, and the lenders could try to fix the problem. Other times, the document was intentionally destroyed (again, a violation of the law). At the end of the day, the borrower doesn't get off scot-free either. Even if he can prove that the banks violated the law with intent to defraud everyone in their path, all he does is break the lien. The promissory note, i.e. the debt, is still there. In some states, it'd even be converted from a no-recourse loan to a recourse loan in the process. Sure, this can be discharged in bankruptcy, but bankruptcy isn't a zero-cost action either. Show me a party with clean hands, and I'll cry for justice. Now, I see banks crying because they got robbed of the money they stole fair and square.